In the morning, Nick insisted I come and see "something special" in the men's loo. I was curious - and cautious! 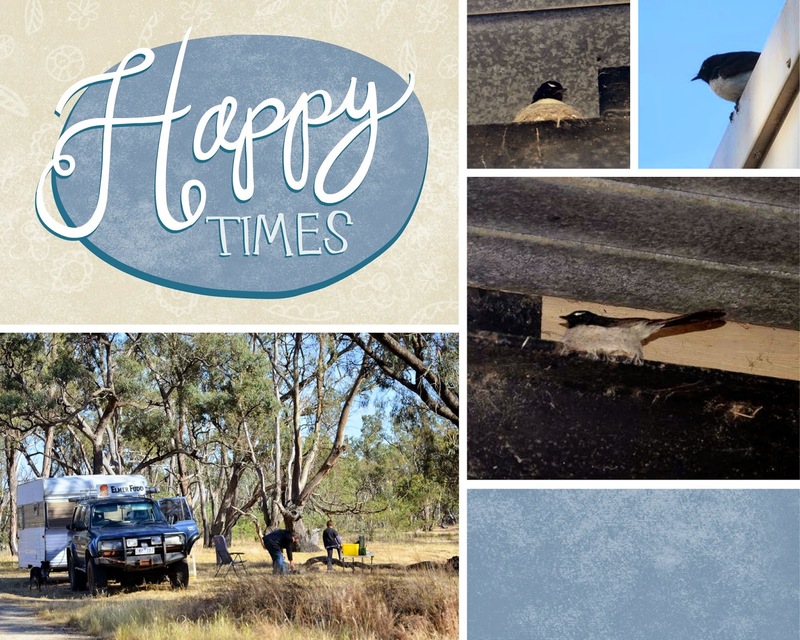 As we walked over to the toilet block, Nick explained a willy wagtail had built her nest on one of the rafters. The nest was empty as we approached but the adult birds were close by, flitting about the trees and scolding. As we watched one of them hopped along the rafter, then settled back on the nest, peering down at us!